As a long time fan of Hostess snack cakes and baked goodies, I was sad when they closed down in late 2012. Last year, they were purchased by another company and brought back all of the favorites. The cherry pie comeback wasn’t so good. And I’ve yet to try the new Twinkies. 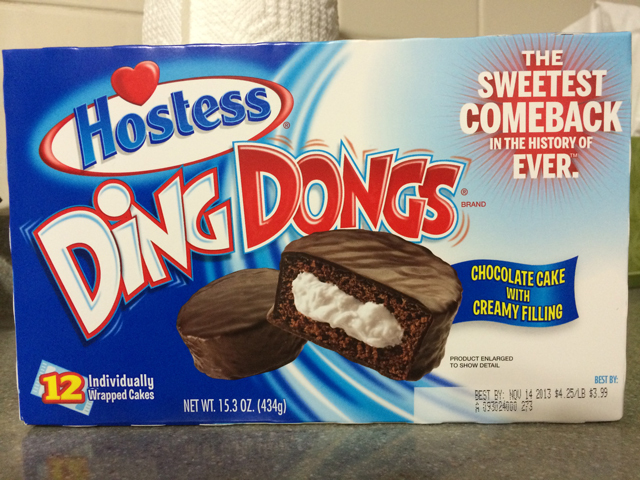 But I did look forward to the return of Ding Dongs, which I finally gave them a try recently. It had been more than 3 years since the last time I had a Ding Dong and I hoped that the taste of this snack cake hadn’t changed. Looking at the newly-returned Ding Dong, it appears to not have changed very much. Still the familiar round chocolate-covered chocolate cake snack cake I remember eating for years. Creaming filling inside is just as creamy looking as I remember. The cake is nice and moist and not dry at all. So far, so good. But let’s see how the taste is. Watch the video below to hear my reaction on the taste and flavor. It appears Hostess did one of the comeback products right. I think this new Ding Dong is very close to the original recipe and I look forward to eating more of them in the coming months and years. Yes, that’s true. I wish they would remove the lard from these products. The Mrs Freshly’s products are mostly lard-free. As a kid I was never a fan of the ding dongs. I always liked the cupcakes and they are virtually the same just the ding dongs were coated with the chocolate frosting. I think the last time I had one I was 8 or so. Once I learned to bake I became a total dessert snob and would bake things all the time and infuriate my mother because I never cleaned the kitchen after myself. Woops. I used to eat the cupcakes, but the frosting would hurt my teeth. For some reason, the chocolate coating on the Ding Dong has never bothered my teeth. 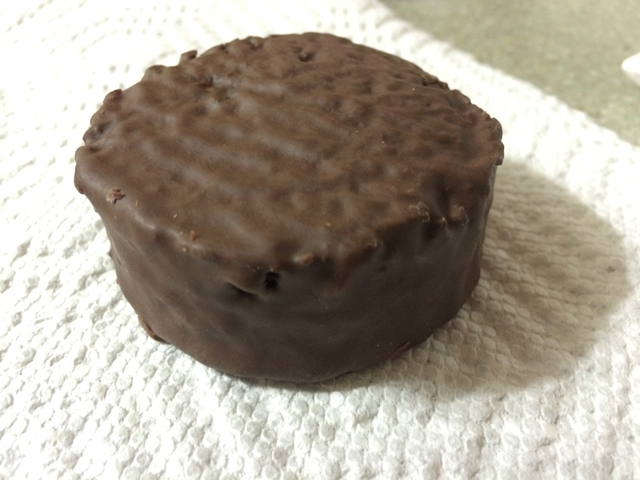 I’m sure if I did more baking, I wouldn’t be fascinated with the Hostess snack cakes I grew up with. Love ding dongs. 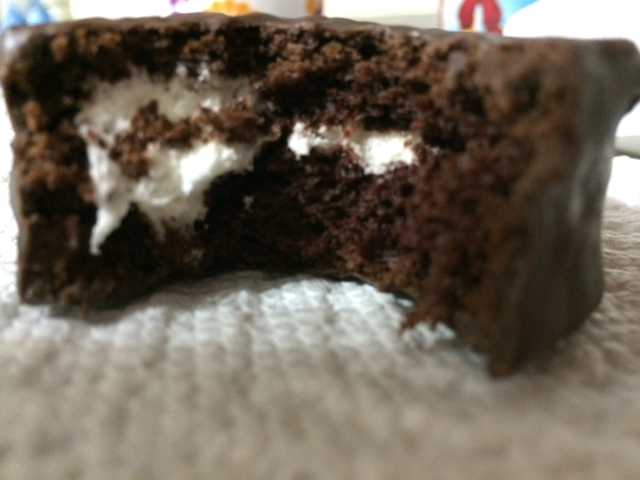 Only got acquainted with Hostess when moved to the US. Ummmm, now you’ve made me have a sweet tooth. Time for ice cream! Ding Dongs were always one of my favorites, even to this day. Ice cream sounds good right now.